Located approximately 35 miles southwest of Chicago in the county seat of Will County, Joliet Union Station is a notable Chicago-area railroad landmark. 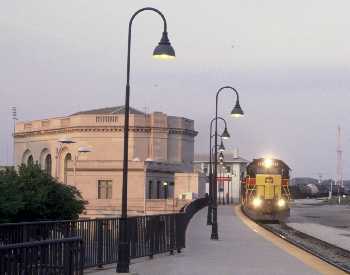 Although the classic station itself no longer serves passengers, Joliet still has frequent intercity and commuter rail service. Joliet is also one of the area's busiest railroad junctions and a popular location to watch and photograph trains. For over 100 years, Joliet Union Station served the community and hosted some of America's most famous passenger trains. ​one regional railroad, Amtrak and two commuter services, Joliet is a great place to watch trains. 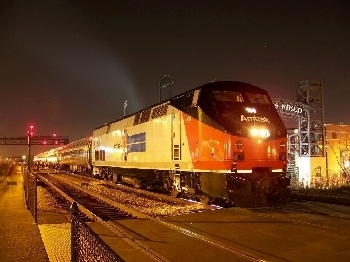 By Train - Joliet is served by Metra, Chicago's commuter rail system and Amtrak, the nation's intercity passenger service. 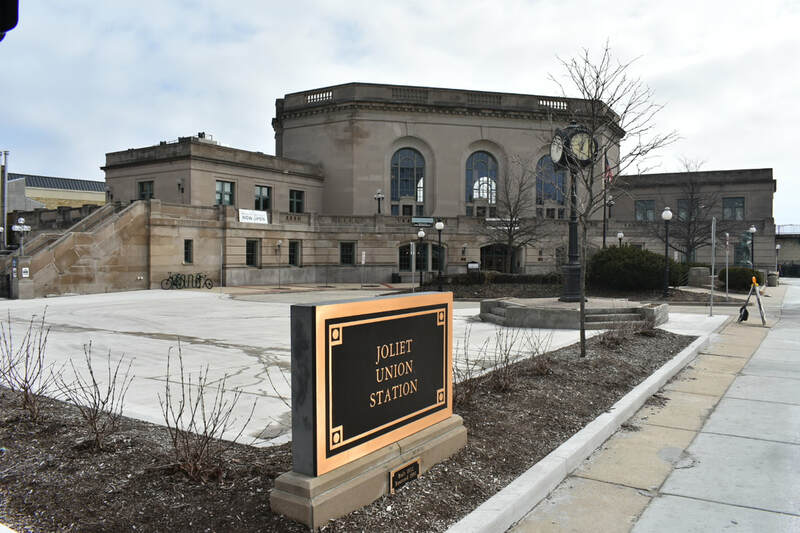 The original Joliet Union Station no longer serves passengers, as frequent passenger rail service is available from the new Joliet Gateway Center -- see our Passenger Guide for details. By Bus - Pace, the suburban bus system serves downtown Joliet with several routes from around the city and other nearby suburbs including routes 501, 504, 505, 507, 508, 509, 832 and 834. See the Pace website for routes and schedules. By Auto - If traveling by automobile, Joliet Union Station is at the intersection of Jefferson (U.S. 30 East) and Scott Streets in downtown Joliet. From the east or west, take Interstate 80 to exit 132 at Chicago Street (U.S. Route 52-Illinois Route 53) and head north. From the north or south, take Interstate 55 to Interstate 80 and head east to exit 132. Metered parking is available around the station, and parking may be free at certain times, such as weekday evenings or weekends. Check meters and posted signs for details. Around the Station - Restaurants, casinos, ATMs, convenience stores, hotels and other services can be found throughout downtown Joliet. The Will County Court House and Silver Cross Field (a minor league ballpark) are located adjacent to the station.